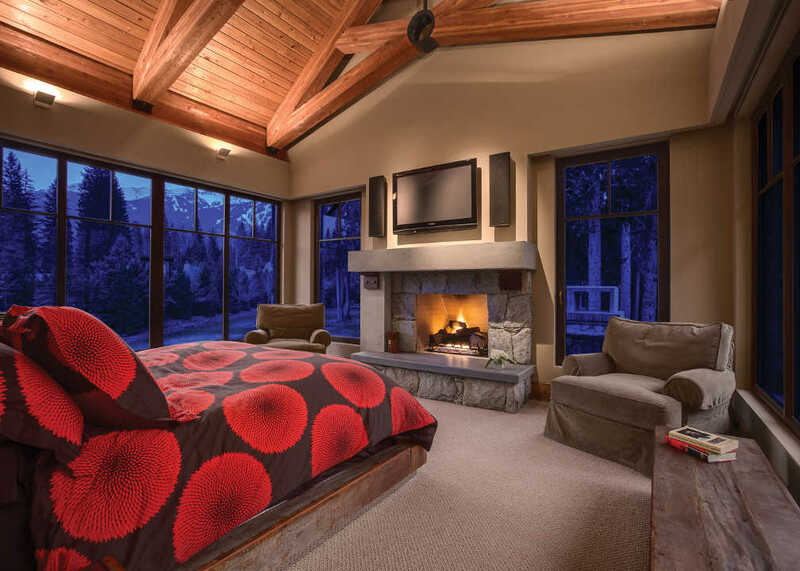 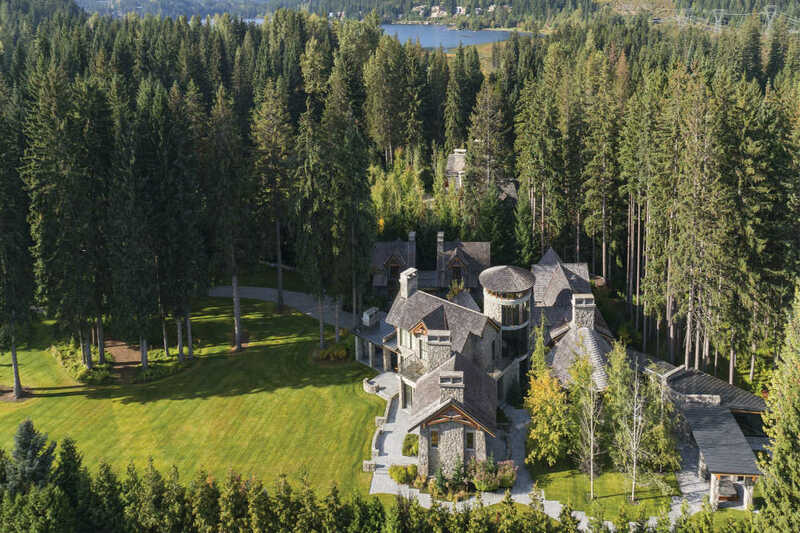 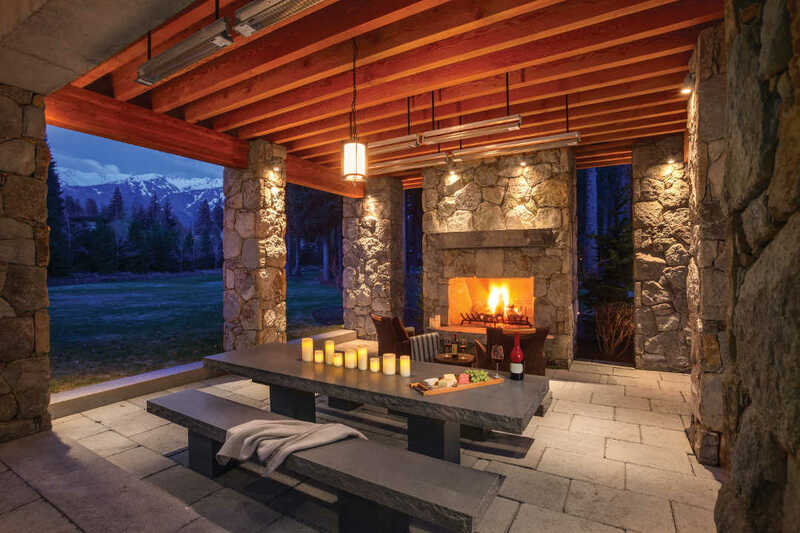 Nestled minutes to Whistler’s vibrant village this iconic private, gated estate property encompasses 5.24 acres of rare meticulously landscaped prime Whistler real estate. 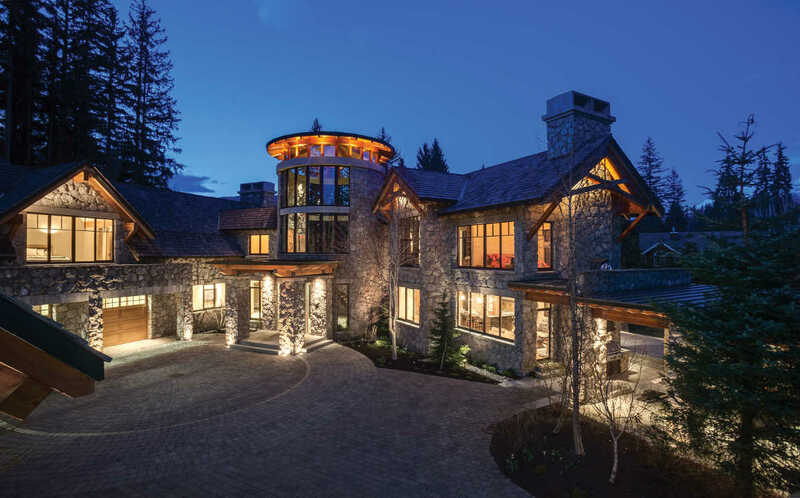 Thoughtfully designed to offer maximum privacy, the magnificent exterior of grey basalt stone appears through the whimsical tall pine trees with Blackcomb Mountain creating the picturesque backdrop of this architectural masterpiece. 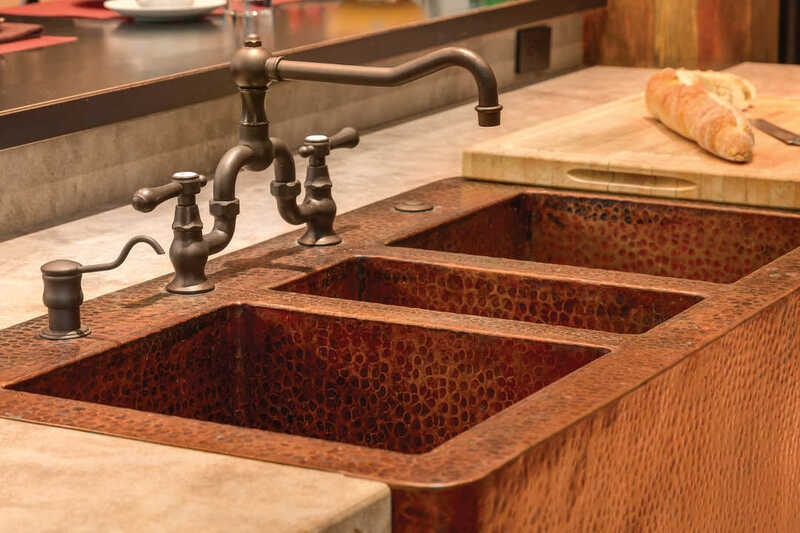 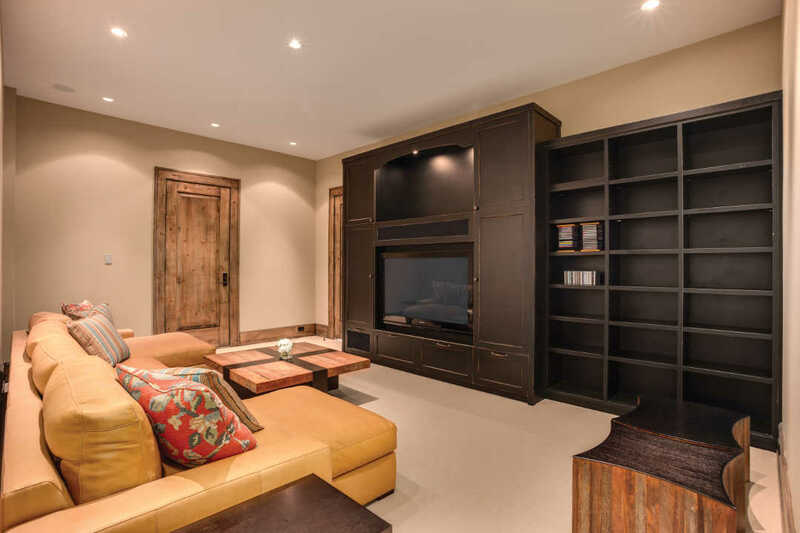 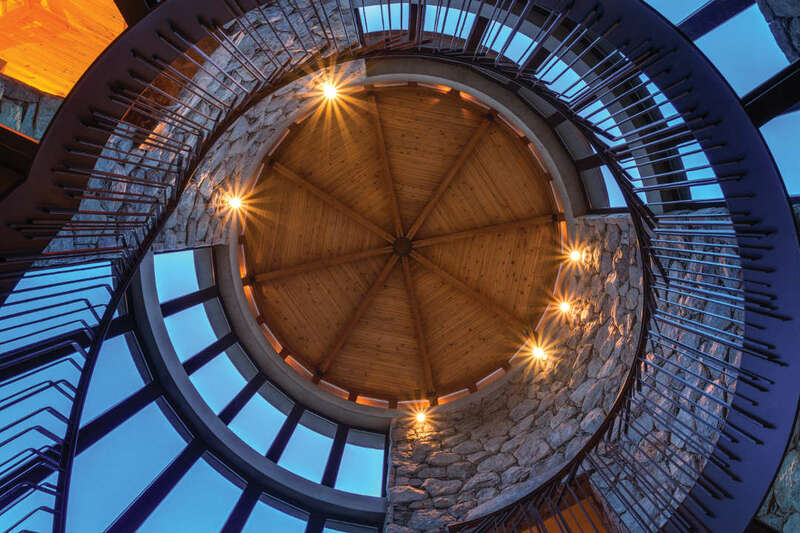 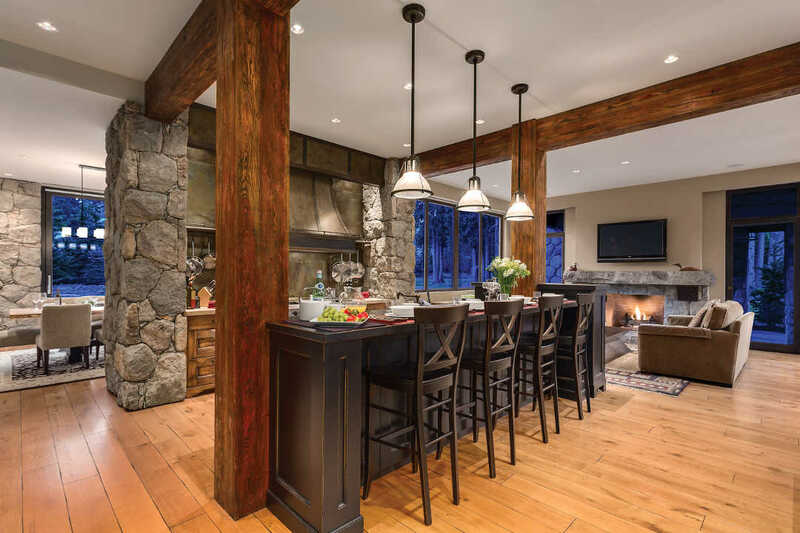 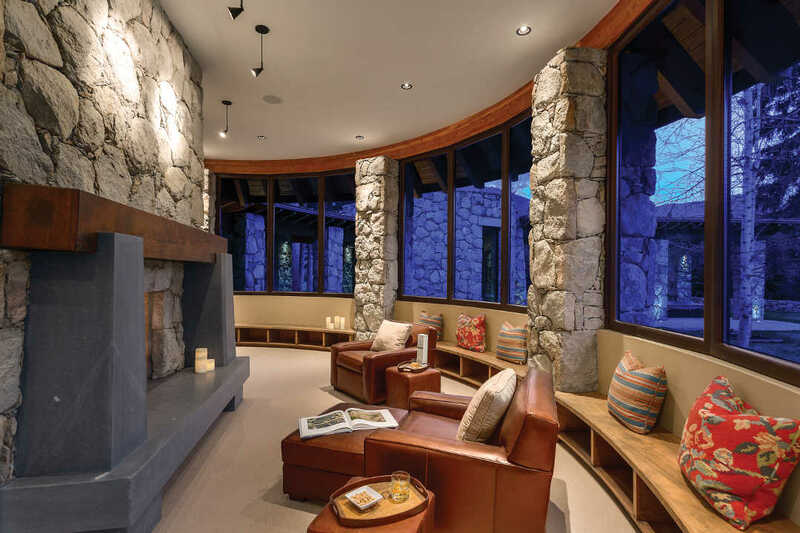 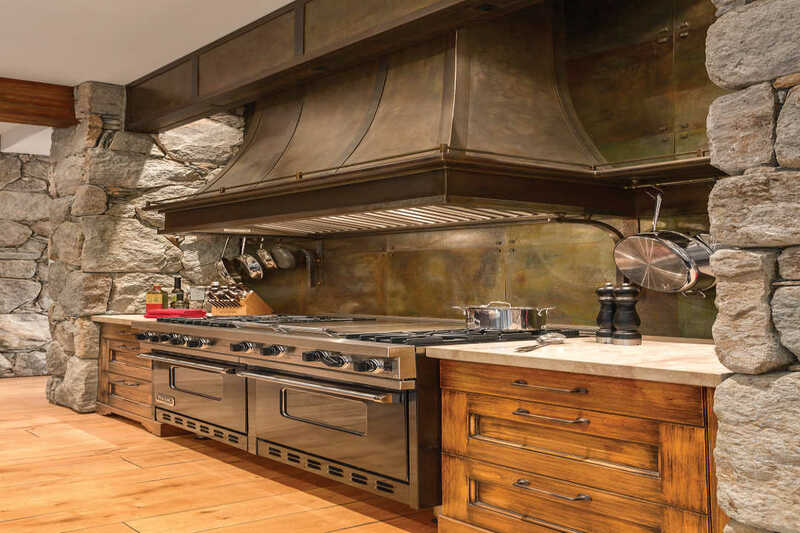 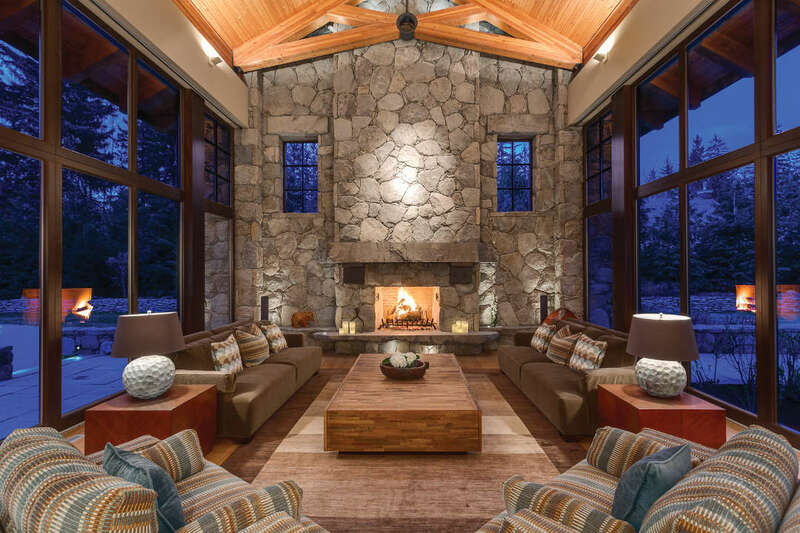 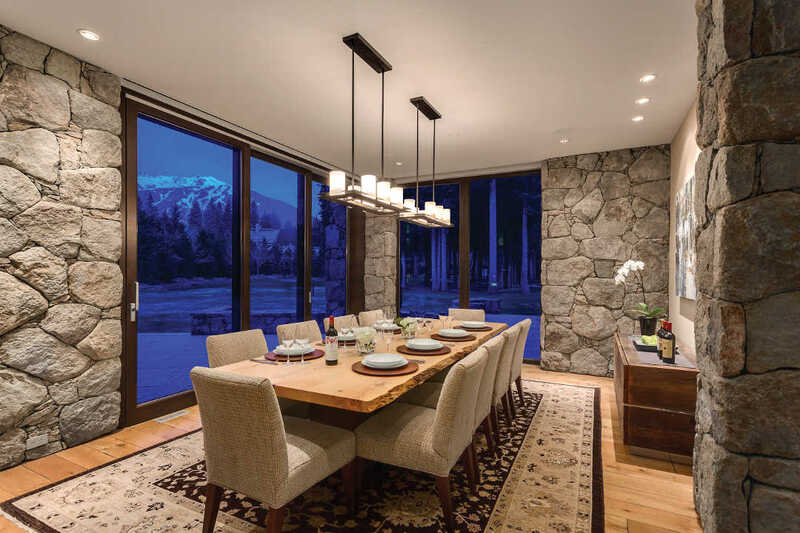 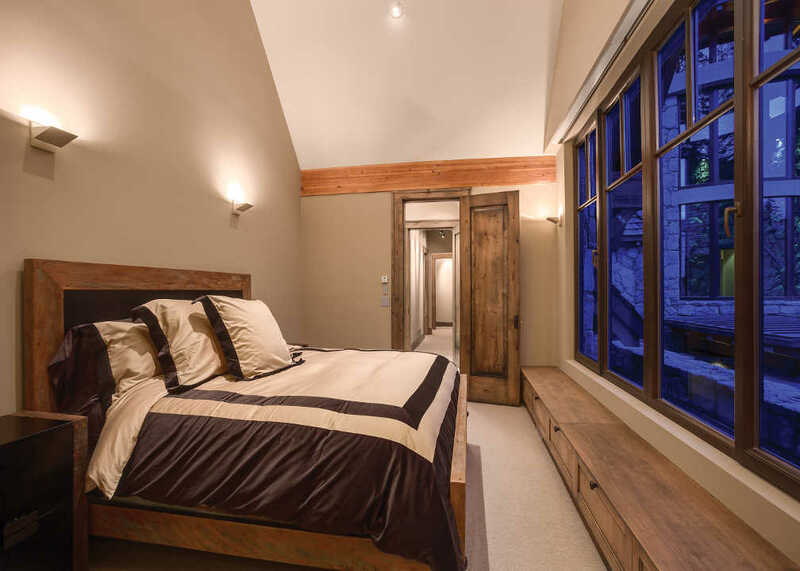 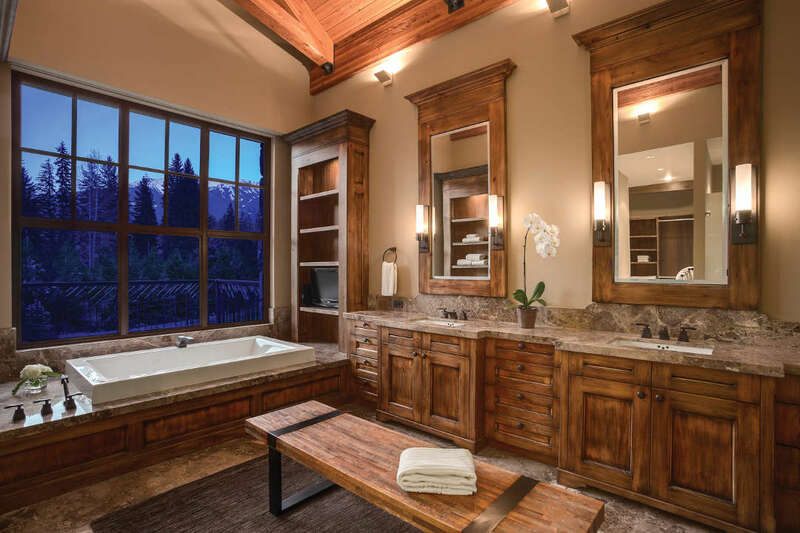 Unmatched quality is the hallmark of this home, whose interior while grand and elegant still exudes warmth and inviting spaces achieved through use of indigenous materials. 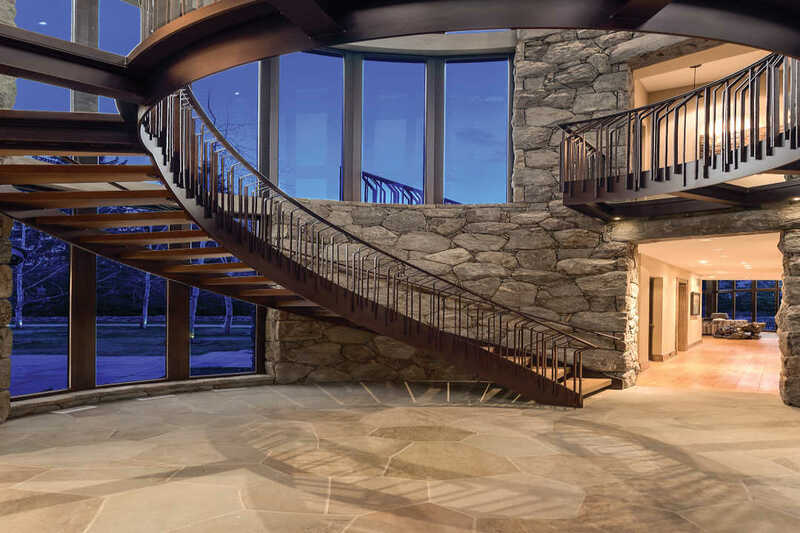 A hand forged iron staircase ascends up through the forty foot entrance silo which provides the architectural strength of the primary residence and adjacent coach house.